But it’s better not to touch them!!! They’re the original ones, not reproductions. 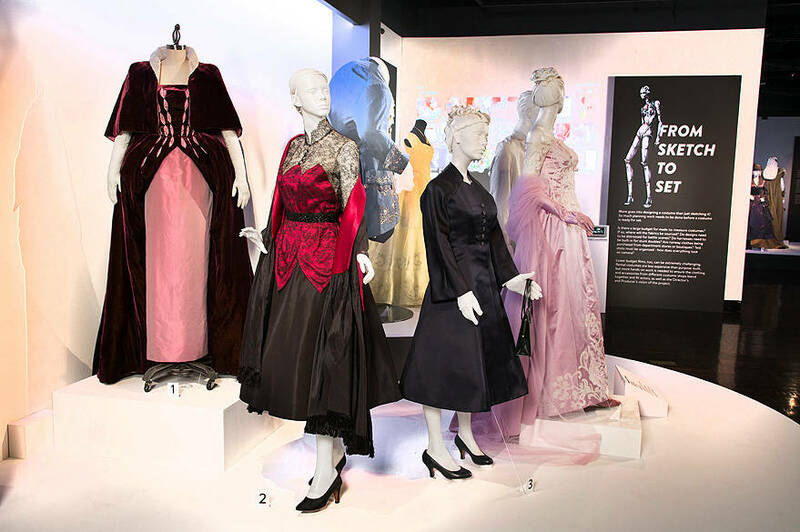 Kevin Jones, curator of the FIDM museum and of the most beautiful exhibition of the year – Annual Art of Motion Picture Costume Design Exhibition – tells us how much work there is behind this exhibition where movies meet fashion. Bonus: do you think that fashion designer, stylist and costume designer are the same thing? You are wrong!!! The FIDM (Fashion Institute of Design & Merchandising) is an institution in Los Angeles: this prestigious fashion school that prepares the new generation of costume designers, has direct access to Hollywood. The FIDM has also an amazing museum, listed as one of the World’s top 10 fashion museums. 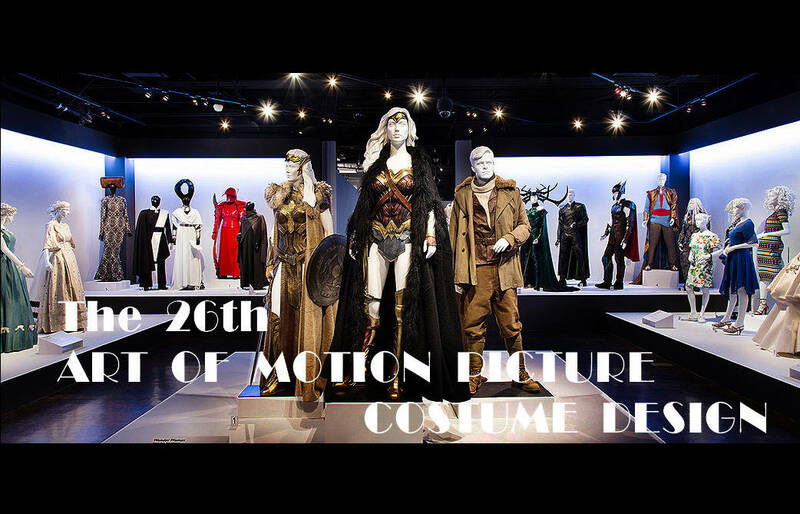 And in this museum the close relationship between FIDM and Hollywood gives life to an exhibition that is one of a kind: the 26th Annual Art of Motion Picture Costume Design Exhibition, on display from feb 6 through apr 7, 2018. This year, the exhibition includes over 125 costumes from 25+ films, including the five Best Costume Design Academy Award nominees – “Beauty and The Beast”, “Darkest Hour”, “Phantom Thread”, “The Shape of Water” and “Victoria and Abdul” – and you can study the details, you can see the fabric and the stitching, you can admire them closely in all their beauty as artworks. Because the costumes are real artworks! Kevin Jones is the curator of the FIDM museum and of the Annual Art of Motion Picture Costume Design Exhibition, he is a profound connoisseur of fashion and cinema and explains also why there are big differences between a fashion designer, a stylist and a costume designer. “Phantom Thread” costumes by Mark Bridges, 2018 Academy Award for Costume Design. DOVE VEDERE I COSTUMI NOMINATI AGLI OSCAR TANTO DA VICINO DA POTERLI TOCCARE! Ma meglio non toccarli! Sono originali, non riproduzioni. Kevin Jones, curatore del FIDM museum e della mostra più bella dell’anno – Annual Art of Motion Picture Costume Design Exhibition – ci racconta quanto lavoro c’è dietro questa mostra dove il cinema incontra la moda. Bonus: pensate che fashion designer, stylist e costume designer siano la stessa cosa? Vi sbagliate!!! Il FIDM (Fashion Institute of Design & Merchandising) è un’istituzione a Los Angeles: questa prestigiosa scuola di moda dove si crea la nuova generazione di costume designers, ha accesso diretto a Hollywood. Il FIDM ha anche uno splendido museo, uno dei 10 più bei musei di moda al mondo. È in questo museo che i rapporti tra il FIDM e Hollywood danno vita ad una mostra unica nel suo genere: Annual Art of Motion Picture Costume Design Exhibition, quest’anno arrivata alla sua 26a edizione, in mostra fino al 7 aprile 2018. I costumi in mostra sono 125, provenienti da oltre 25 film, compresi quelli nominati agli Oscar per i costumi – “La Bella e la Bestia”, “L’ora più buia”, “Il filo fantasma”, “La forma dell’acqua” e “Victoria e Abdul” – e si possono ammirare da vicino in tutta la loro bellezza, in tutti i dettagli, come vere e proprie opere d’arte. Perché i costumi sono delle vere opere d’arte. Kevin Jones è il curatore del museo del FIDM e della mostra dedicata ai costumi di Hollywood, è un profondo conoscitore della moda e del cinema, e spiega anche perché ci sono differenze enormi fra fashion designer, stylist e costume designer. Previous Post WANT TO KNOW ALL THE FACTS ABOUT THE COSTUMES IN THE “ASSASSINATION OF GIANNI VERSACE”?